TATANKA: This new K-State variety is a powerful choice for the central and southern High Plains. The Kansas Wheat Alliance says this hard red winter wheat has produced very competitive yields on both irrigated and dryland though average straw strength may limit its use under irrigation. It is moderately resistant to stripe rust and intermediate with leaf rust. It has a medium long coleoptile and good drought tolerance. Tatanka is an Ehmke Seed TOP CHOICE for dryland. LONERIDER: A hard red winter wheat, Oklahoma State University’s Lonerider is a cross between Billings and Duster. This new variety provides very quick ground cover in the fall and has very high yields on both irrigated and dryland in the central and southern High Plains. It is also very drought hardy…and you can’t make it lodge! You can take this variety well north into Nebraska. Lonerider is an Ehmke Seed TOP CHOICE on both irrigated and dryland. WHISTLER: This new Colorado State University hard red winter wheat variety is marketed by PlainsGold. With Whistler, the Byrd tradition continues. It is a medium late variety that is tall. Straw strength is fair. It has good strip rust resistance and carries wheat curl mite resistance from the Byrd parent. Overall, it is one of the most resistance varieties to wheat streak mosaic. It has good milling and baking quality. Supplies will be limited. LCS VALIANT: This is one of the newest releases by Limagrain Cereal Seeds. After many years of testing, it has proven to be one of the consistently high yielding varieties. LCS Valiant features very good stripe rust tolerance, excellent straw strength and very good drought tolerance. It is an early maturing, Hessian fly resistant variety. It is stem rest tolerant and is well adapted to the High Plains. End-use quality is desirable. Supplies will be limited. OAKLEY Cl: This is a high yielding, hard red winter Clearfield wheat with one-gene resistance to Beyond herbicide. Oakley Cl has very good resistance to wheat streak mosaic virus and stripe rust. It is well adapted to western Kansas. It is medium late and medium tall, has good straw strength, a long coleoptile and good resistance to shattering and pre-harvest sprouting. AVERY: Another top-yielding Colorado State University wheat, Avery is a replacement for Byrd and Hatcher and competes well with Langin on yield. It also has a long coleoptile and excellent drought tolerance. Too, it is resistant to wheat curl mites and greenbugs. Parents are TAM 112 and Byrd. T158: From Limagrain, T158 is a consistent top yielder on both irrigated and dryland for the central and southern high plains. It is a medium early that has excellent drought tolerance, resistance to stripe rust, powdery mildew and soil borne mosaic. It has intermediate resistance to wheat streak mosaic. It is broadly adapted with excellent overall yield potential. TAM 204: This is a beardless hard red winter wheat licensed to Watley Seed Co. Parentage includes the drought-hardy TAM 112 and Jagger, both of which are well known for their grazing potential. It has strong straw strength and medium coleoptile length. It is resistant to Hessian fly, what curl mites and green bugs. It is moderately resistant to wheat streak mosaic and stripe rust while being moderately susceptible to leaf rust. JOE: This is a very explosive yielding hard white wheat variety and is without a doubt, the highest yielding white wheat in the central and southern plains. Developed by K-State, it is licensed to the Kansas Wheat Alliance. Included in its background are Jagger, Arlin and Trego. It has performed very well in western Kansas, topping the dryland trials in 2015. On dryland, it yields 33% more than TAM 111 and on irrigated, it yields 27% more than TAM 111. Joe has very good resistance to wheat streak mosaic, stripe rust and leaf rust. It has good straw strength and good tolerance to shatter. It is moderately susceptible to pre-harvest sprouting. 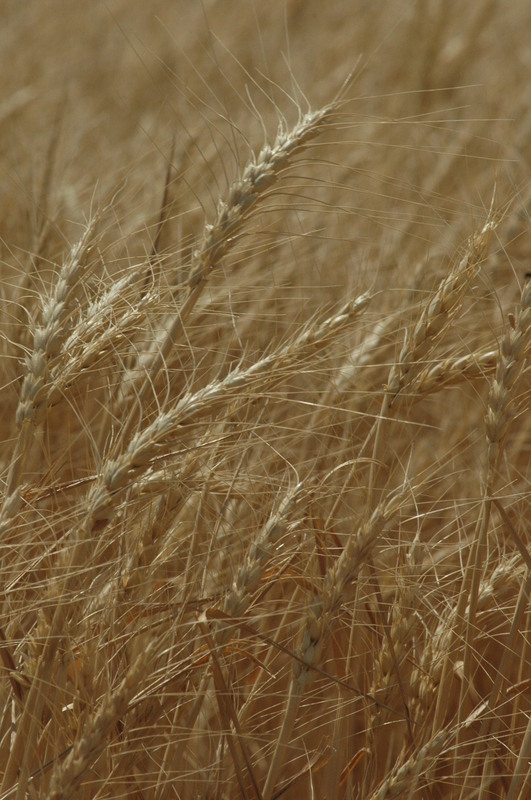 Turkey Red – A wheat of antiquity, this variety made Kansas famous as “The Wheat State”. It is an heirloom variety that was brought to Kansas by German Mennonites in 1873 when they emigrated from Crimea. It was the first hard red winter wheat grown in the state. Experts at K-State estimate the variety could be 200-250 years old. A vast number of the modern wheat varieties grown in Kansas today can be genetically traced to Turkey Red.